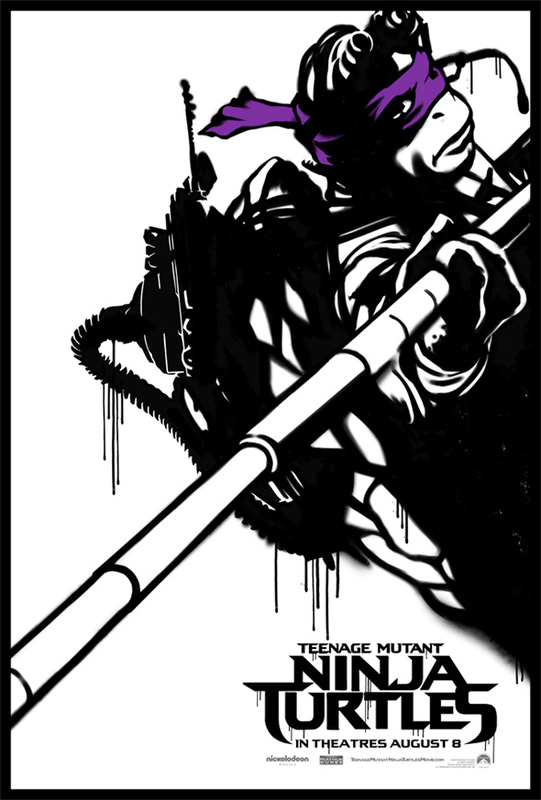 Following a quick look at some concept art for Splinter and Shredder in the new Teenage Mutant Ninja Turtles directed by Jonathan Liebesman and produced by Michael Bay, we've got some new posters that can be spotted on the city streets, just above the sewer home of our heroes and a half-shell. 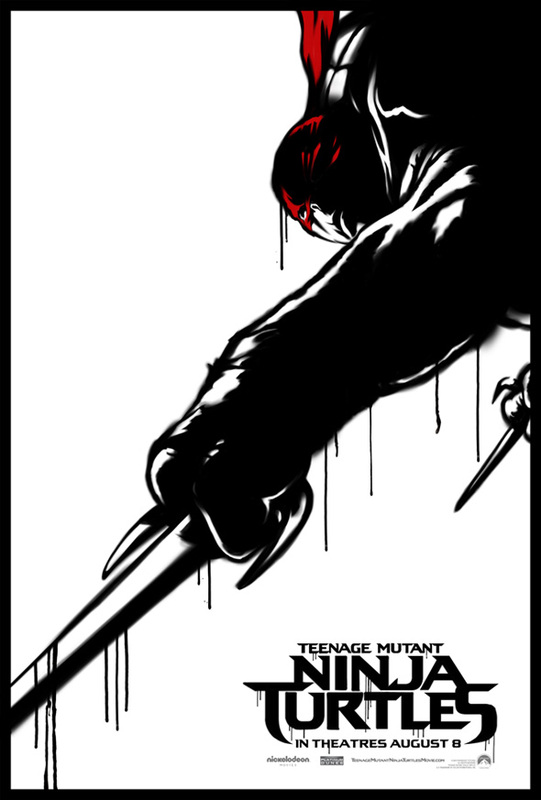 The new posters are pretty stylish, similar to the The Wolverine poster from last year, with a more casual graffiti design to them. 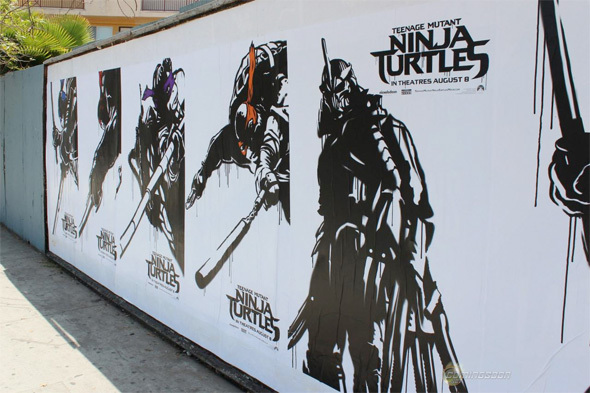 We get to see Donatello, Leonard, Michelangelo and Raphael, but Shredder himself also gets a poster. 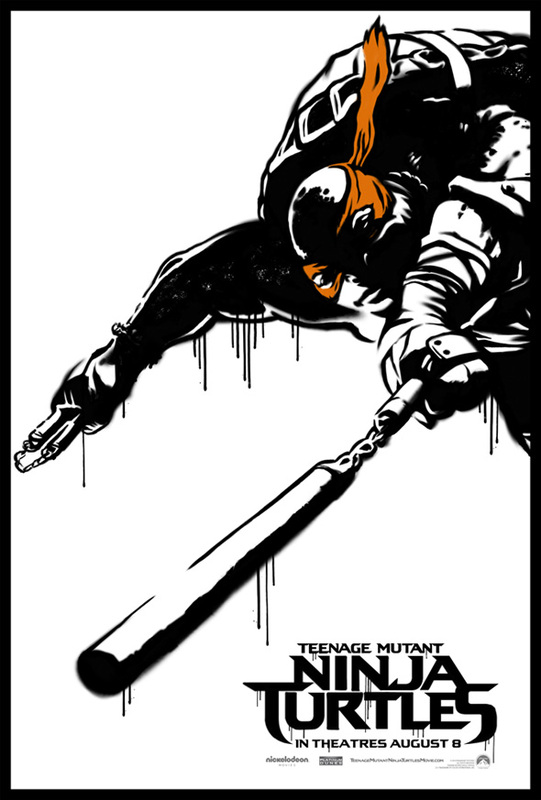 There's no Splinter though, but maybe that's because there's enough rats on the streets. Look now! These are pretty awful. Awful. yep, the fake graffiti thing is terrible. 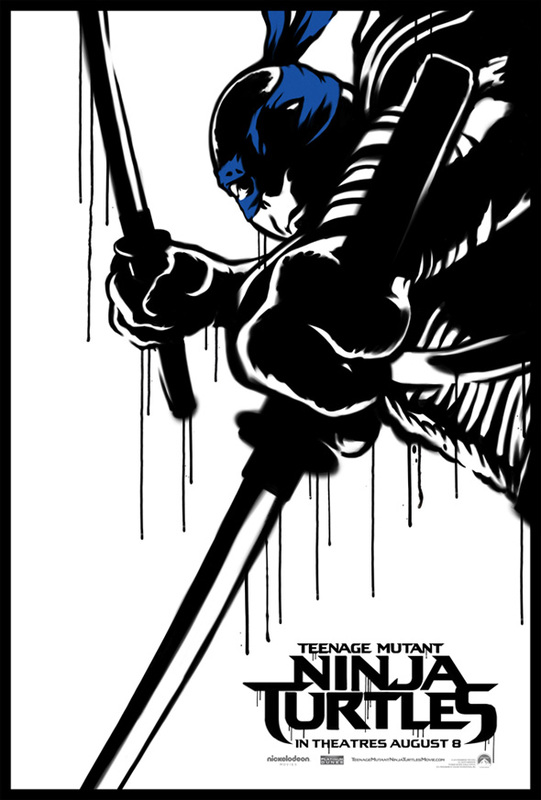 exactly...I like the stencil idea, but it just came out looking like a really sloppy photoshop illustration. That's got to be hard to do having not actually seen it yet. 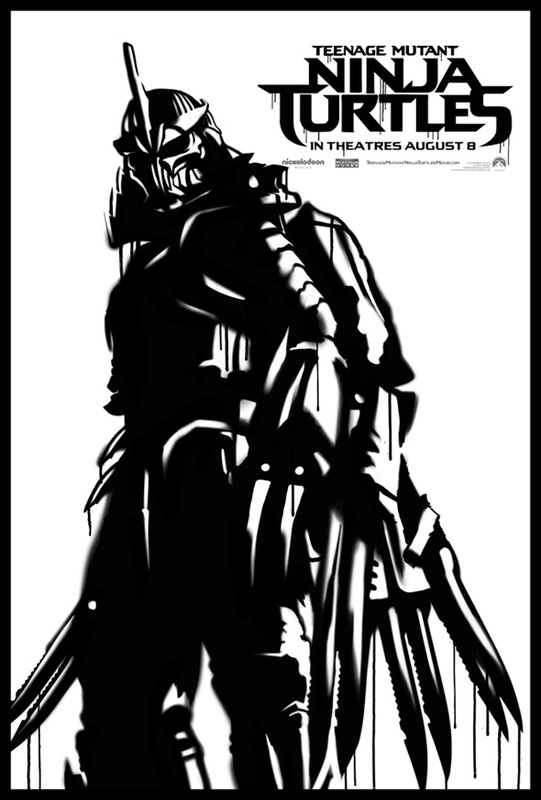 Why does Shredder look like Edward Scissorhands? I'm predicting a huge flop with this one. Not sure why, but there's no buzz. Like, at all. I hope Banksy is getting a pay cut from these posters. Why not just hire a real stencil graffiti artist? These producers really think they're doing themselves a favor by being cheapskates. They don't understand that this movie is in desperate need of marketing ingenuity.